1. Fold a card to measure 4 1/4" x 6". Cut a smooth white cardstock panel slightly smaller. 2. 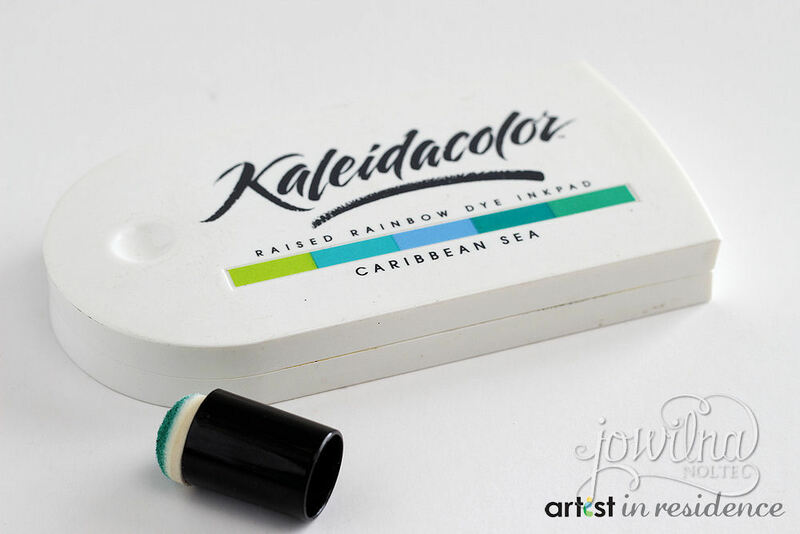 Grab your Kaleidacolor ink pad in the choice of your color theme as well as a sponge dauber. 2. 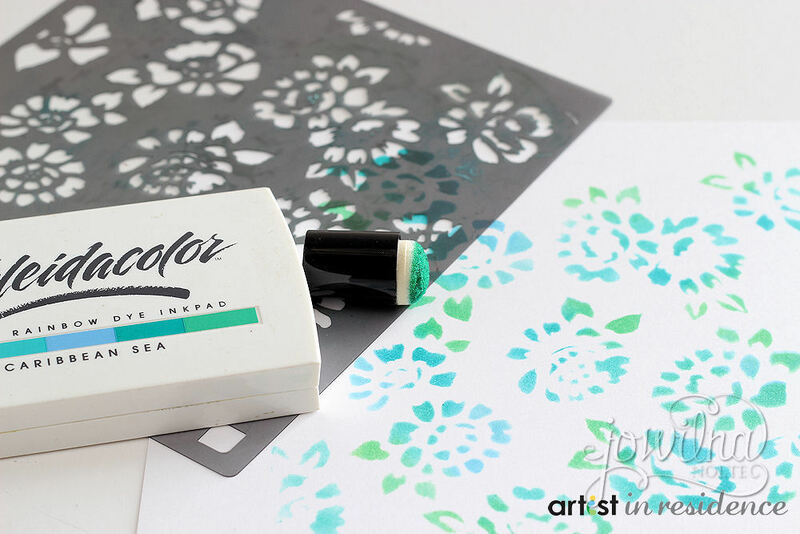 Use a stencil and your sponge dauber and stencil the design onto your panel using the sponge dauber. Use the same dauber on all the colors for a gorgeous Ombre effect blending the colors beautifully. 3. 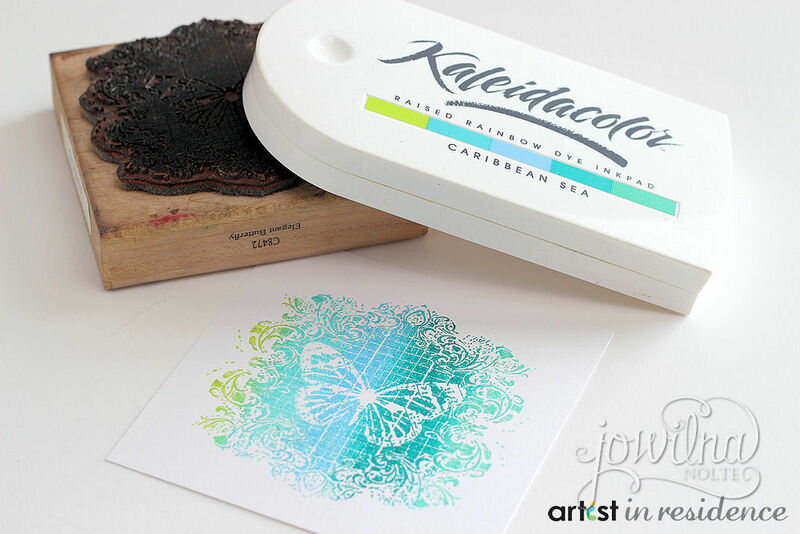 Ink a butterfly stamp using your ink pad. Remember to keep inking in the same place until you have a good coverage. Mist the stamp with water and stamp onto white cardstock. Heat set. 4. Punch stamped butterfly into a circle. 5. Adhere stenciled panel to base card. 6. 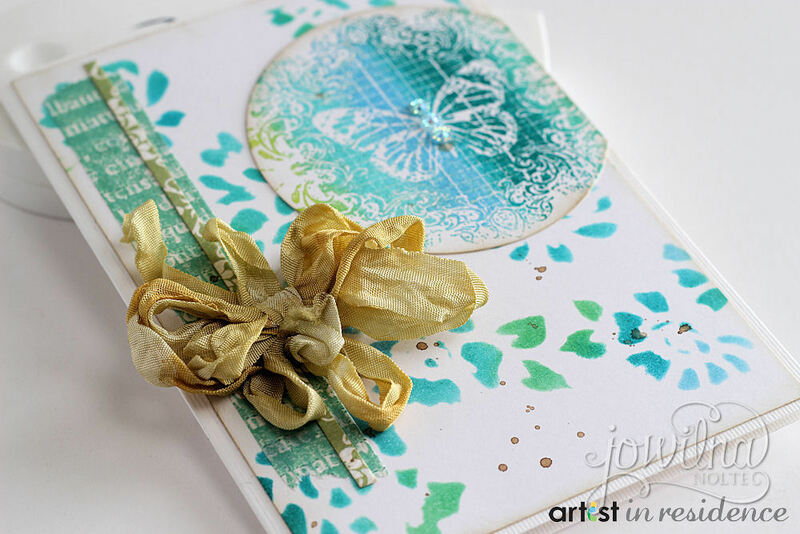 Adhere butterfly circle to card and trim off overlapping piece. 7. Add washi tape strips and ribbon bow to finish off card. 8. Add diamante to butterfly.